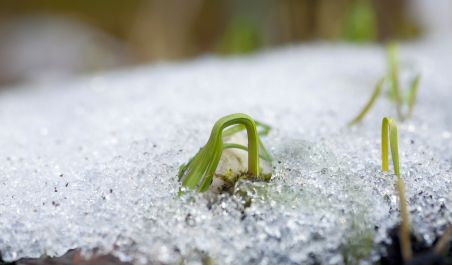 What’s sprouting in your life this Spring? Ah, Spring has arrived! It’s my favorite time of the year when the hyacinth and tulips begin to sprout from the barely warmed ground, in-between the snows and rains! I love the rebirth and possibilities that spring forth in my garden. And somehow, the first glimpses of Spring shifts something in my own internal clock, launching new ideas and setting intentions. The ideas are wildly flowing this week, full of possibilities. New ways to help shape women’s lives in connection and meaning and planning for summer equine assisted events is underway. The synchronicity of signs and people who keep showing up in my life, reminds me to think and play large in the circles of my life. These signs remind me to say “Yes to ME!” – to listen to my heart, my intuition and step out into the world every day with a deliberate purpose. What is sprouting in your playground of your life this Spring? Are you listening to your heart and intuition? How are you saying “Yes to YOU?” On this Spring Equinox, take a few moments today to get out in nature for a walk to listen to your inner voice. Then share your “Yes to You” declaration with the world in the comments below! And if you’re ready to really put some intention in your declaration, I invite you to sign up for one of my Yes-to-Me Strategy Sessions. It’s a complimentary 45-minute coaching session with me to jump start all your heart desires!